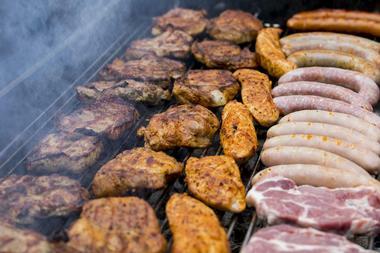 The barbecue scene in Houston has experienced fast growth in the last few years as is witnessed by the booming popularity of barbecue trailers and popup restaurants. Options range from food trucks with picnic table dining to more high-end establishments. 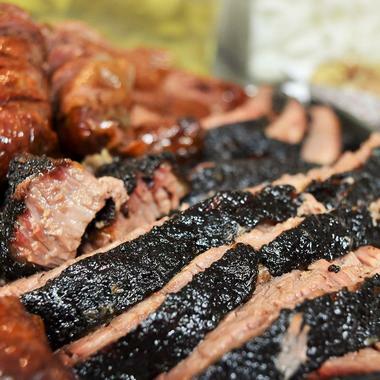 Whether you are looking for the perfect smoked brisket, house made sausage, or pulled pork sandwich, Houston has something to satisfy any barbecue lover. Killen's Barbecue is Chef Ronnie Killen's namesake barbecue joint. Chef Killen was trained at Le Cordon Bleu, and he has also had extensive experience in a popular steakhouse. His attention to detail and understanding of flavor profiles has turned the restaurant into a local favorite. The dining room is consistently packed with diners enjoying large portions of beef ribs, tender, succulent brisket, and house made sausage links. While the smoked meat dishes are what bring the masses to Killen's, they also serve a very good fried chicken. Make sure to leave room for their sides. The potato salad and creamed corn are especially tasty. Plan to wait in line for a table. Fortunately, the restaurant serves free Lone Star beer to those who are waiting, which makes the wait a lot more bearable. The Pit Room serves Central Texas-style BBQ in a rustic venue with a nice patio. Menu highlights include their smoked brisket, ribs, and three types of sausage that are all made in house. Side options include house-made charro beans, coleslaw, jalapeno-vinegar potato chips, and more. One of the highlights of the Pit Room is the selection of pickles and other condiments on the complimentary pickle bar. From marinated scallions, brined cucumber, and carrot to red chili salsa and a range of other sauces, the choices are seemingly endless. The menu also includes tacos, Texas chili, beer & wine, and dessert. Finish your meal with the sour cherry pie for a special treat. 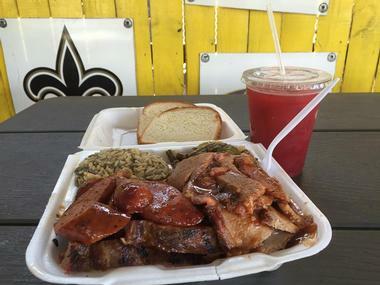 Pappa Charles Barbecue is another Houston favorite that has grown out of a successful BBQ trailer. The trailer, which made a name for itself at Jackson's Watering Hole, was the creation of pit master and native Houstonian Wes Jurena, who now has his own standalone restaurant in Eado. Rather than cook their meat on low heat for a long time, as most barbecue restaurants do, Pappa Charles cooks their meat on high for a short period of time. The menu includes an ultra-crispy 44 Farms brisket as well as smoked turkey, pork ribs, and a creamy five-cheese mac and cheese. For an especially hefty feast, diners can indulge in the 1836, which is a trio of pulled pork, chopped brisket, and sliced sausage sandwich served alongside a healthy portion of coleslaw. Barbecue Inn has been a mainstay on Houston's restaurant scene for more than 70 years. They serve up traditional barbecue food in a retro setting. The old-fashioned, family-run restaurant has gained quite a local following over the years. The menu is straightforward and includes a selection of barbecue dinners, sandwiches, fried chicken, seafood plates, and salads. In addition, you can order your favorite barbecue to go by the pound. They have a selection of traditional BBQ sides including French fries, baked beans, baked potatoes, and more. Finish your meal with a down-home slice of pie or cheesecake. Jackson Street BBQ is somewhat of a newcomer on the local barbecue scene. The restaurant is the steakhouse creation of two well-known local chefs – Greg Gatlin of Gaitlin's BBQ and Bryan Caswell from Reef and Little Big's. The restaurant has established itself as a solid option for simple, smoked Texas barbecue. The menu is small but well executed, and entree options include only ribs, sausage, brisket and "yardbird." Each type of meat can be ordered on a sandwich or by the pound. To round out your meal, add on a side of drool-worthy fried mac n' cheese, dirty rice, or a slice of house-made pecan pie. It's said that Blake's BBQ and Burgers was built when Jeanetta Street, where it resides, was only a dirt road. While the street is paved now, the restaurant still looks like a blast from the past. The interior is simply decorated and brings to mind the early 80's when Blake's first opened. Esteemed pitmaster Don Blake has made a name for himself in the Texas barbecue scene by serving simple but delicious barbecue. For a good survey of the menu, try the three meat dinner. The restaurant serves up fantastic burgers and salads as well, so there is truly something for everyone. Their Arnold Palmers are said to be the best around and are the perfect choice to wash down your barbecue or burger. Brooks' Place serves food out of a trailer to diners at outside picnic tables. 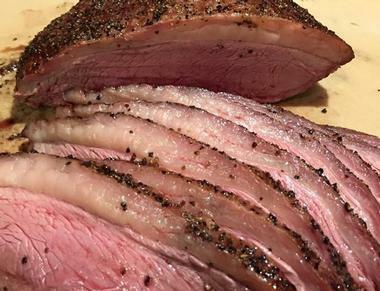 The modest digs are inviting, and you'll find a menu of meat-centric dishes such as a crispy brisket that is only barely trimmed, leaving a thick layer of fat that infuses moisture and flavor into the meat. They also serve massive portions of beef ribs, tasty pulled pork sandwiches, and specials such as smoked catfish. The smokehouse also serves breakfast and a wide range of specialty desserts. They offer whole pound cakes and pies as well as specialty cakes such as German Chocolate, Italian Cream, and Red Velvet for purchase. Corkscrew BBQ started out as a food truck that ran its entire operation out of a pink and black tractor trailer. 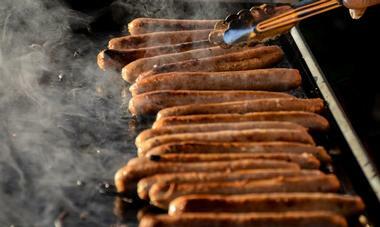 The trailer-served BBQ became so popular that they ran out of food in the early afternoon practically every day. They have since moved to a pink and black building with a bit more space. However, it's still recommended to show up early if you hope to avoid a long wait. Long lines of locals and tourists start forming around 10 am, and they only prepare enough food for the size of their dining room. 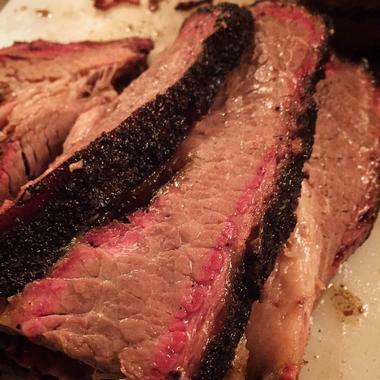 They serve one of the best briskets in Houston. It is oak-smoked and has a perfectly blackened crust and moist interior. They also serve tasty ribs, loaded potatoes, and spicy pork sausage. Demeris Bar-B-Q has been a Houston favorite since 1964. 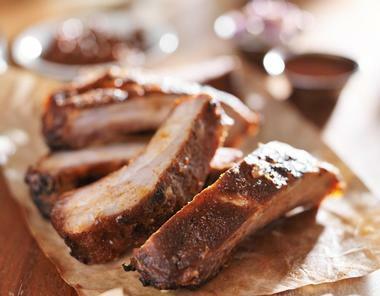 They serve traditional heaping piles of Texas-style barbecue with scrumptious sides. They offer a sampler platter of mixed BBQ including brisket, pulled pork, and sausage with two sides such as coleslaw and corn. 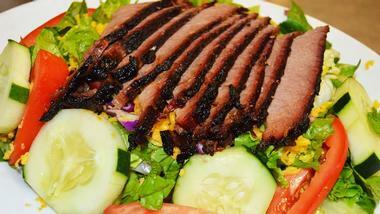 The most popular menu item is a sliced beef sandwich that is especially popular with the lunch crowd. They offer dining room seating as well as a drive-thru for quick service. Additionally, Demeris offers catering, which is quite popular and often used for local events. They frequently cater weddings, rehearsal dinners, and other special parties. Good Tennessee-style barbecue is hard to come by in Texas, but Knoxville native Jamie Fain does it right at Fainmous BBQ. 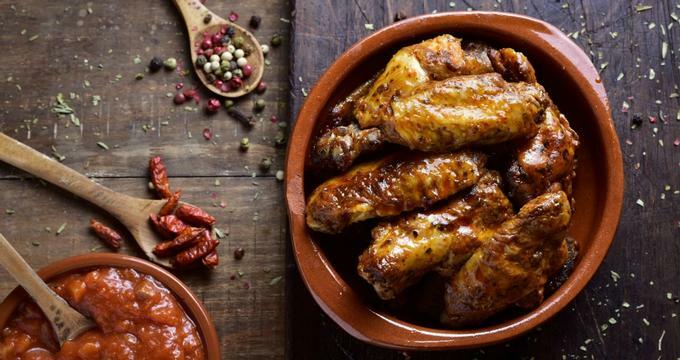 The restaurant serves tasty turkey legs, smoked chicken wings, and scrumptious rib tips. There are also traditional options like beef brisket, pulled pork, and sausage links. If you are looking for a sandwich-style meal, try the praiseworthy pork chop sandwich or the pig burger. There are several excellent side options, but the coleslaw is especially top-notch. They are quite popular and occasionally sell out, so plan to get there early to guarantee an opportunity to try this local favorite. Gatlin's is one of Houston's most well-known barbecue joints. It is a family-run local favorite that has several locations in the area. 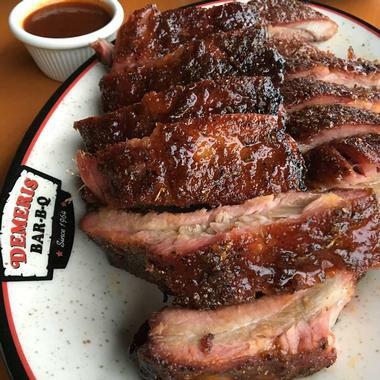 The restaurant specializes in ribs, and the must-try dish is a trio of smoked ribs that includes a St. Louis spare rib, a baby back rib, and a large beef rib. The menu includes several sandwiches and plates with a selection of hearty sides such as baked or pinto beans, mac & cheese, collard greens, or dirty rice. Gatlin's is a go-to option for parties as well. They have package offerings for groups of 10 to 50 people that include meat, sides, sauce, and all of the utensils that you need for a party. Harris County Smokehouse is a family-owned and operated restaurant that has been a local icon since 1968. The menu includes an all-day breakfast menu with a wide range of classic American and Tex-Mex fare. On the dinner menu, several sandwiches, steaks, and barbecue dinners appear alongside Tex-Mex favorites such as nachos, burritos, and tacos. Of course, barbecue appears on the menu, but there are plenty of options for those who may be looking for something a little less meaty. 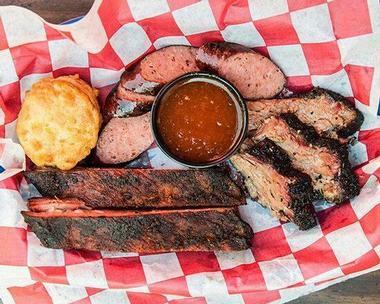 Unlike many other restaurants in the area, Harris County Smokehouse is open for breakfast, lunch, and dinner so you can get your fill of their tasty barbecue from sun-up to sundown. Hickory Barn Barbecue is a veteran on Houston's barbecue scene. This unassuming restaurant is tucked away in a shopping center off of Willcrest Drive, but don't let the simple digs lead you astray. They certainly know what they are doing when it comes to food. The menu features a selection of sandwiches, po' boys, and plated dinners centered on their slow-cooked meats. They have been using the same secret recipe for their rub for the last sixty years. Some of the highlights include the juicy brisket and tender ribs as well as some seriously massive baked potatoes. The potatoes are loaded with typical trimmings as well as your choice of meat. All in all, the baked potatoes are more than two pounds when fully loaded. Hungry Farmer is another of Houston's long-time, family-owned barbecue joints. They have been perfecting their smoked meats for more than forty years. Each piece of meat is slow-smoked strictly over hickory wood, and everything they serve is hand-prepared in-house with no added preservatives. The menu includes several plate combinations and mixed dinners. They also have burgers, sandwiches, and barbecue-stuffed baked potatoes. Their side items are particularly good and include plain and loaded fries, onion rings, coleslaw, potato salad, and much more. They offer large portions of barbecue and sides to go if you need to feed a crowd. 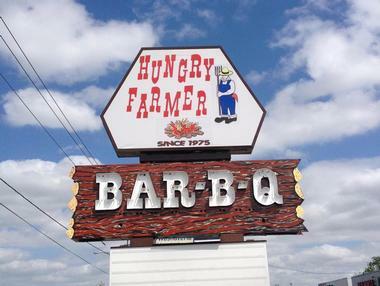 Hungry Farmer has two locations in Houston, one off of Post Oak Road, and the other on Crosstimbers. Lyndon's Pit Bar-B-Q is a large barbecue restaurant that has been serving authentic Texas-style barbecue since 1997. The menu is straightforward and includes several meat options, most of which can be ordered as a sandwich or on a dinner plate. Their meats include brisket, sausage, pulled pork, chicken breast, po' boys, and burgers. They have an extensive selection of Southern-inspired side dishes including beans, coleslaw, fries, corn, okra, broccoli rice, and more. They also have many meats available to order in bulk. Lyndon's interior is decorated with tin signs and license plates evoking a fun and laid-back vibe. Pinkerton's became a local favorite through pop-ups but has since moved into its own brick and mortar location in the Heights area. The restaurant's barbecue is slow roasted over sun-dried mesquite and aged oak. They cook only on wood-burning pits and never on gas or electric. 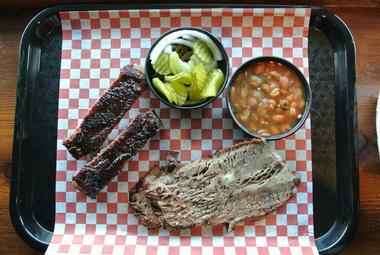 They sere up delicious Central Texas brisket and beef short ribs with a generous amount of their tasty house-made rub. 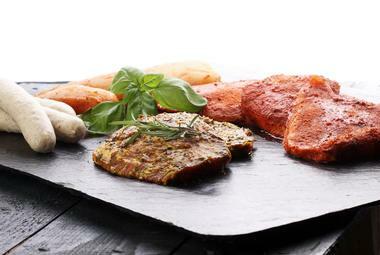 The barbecue is crafted from USDA Prime Certified Angus Beef, all natural chicken, and Compart Duroc Pork. The menu has a bit of Louisiana influence as well with Louisiana-style boudin balls and jambalaya fresh-made daily, giving diners a taste of the Big Easy. 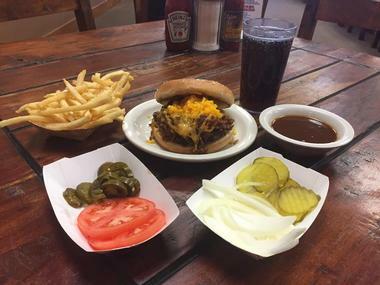 Ray's BBQ Shack is a well known restaurant ran by namesake and pitmaster Ray who has set the standard for East-Texas style barbecue in the city. The restaurant was founded in the 1980s and was originally run out of a food trailer. Since 2011, they have been running out of a casual storefront on Old Spanish Trail. 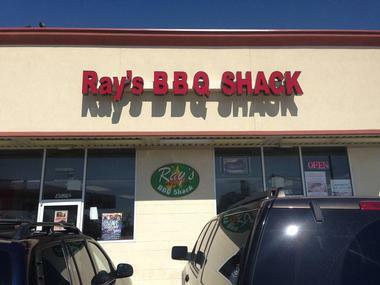 Ray's specializes in hickory-smoked favorites such as ribs, brisket, chicken and sausage. They also serve sandwiches, burgers, po' boys, seafood specials, and desserts. To feed a large group, order one of their popular family packs or take it a step further by arranging for the flavors of Ray's to be brought to you with their full-service catering packages. Pitmaster Russell Roegels has twenty years of experience in Houston's barbecue scene and has somewhat recently decided to open his own barbecue restaurant bearing his name. The restaurant is family owned and operated and serves a range of traditional barbecue meats as well as some of Roegel's custom family recipes. They offer sides of potato salad, pinto beans, and coleslaw each day as well as other special and seasonal side items. The restaurant is casual with counter service and a family-friendly environment. A local favorite is the pastrami rueben, but they only serve this hefty, piled-high sandwich on Thursdays. Rudy's Country Store and Bar-B-Q is a San Antonio-based chain of restaurants and country stores. The chain was originally founded in 1929 as part of a filling station, grocery store, and auto-repair shop. Barbecue was added to the concept in the 1980s, and the restaurant took off from there. The barbecue is 100% oak smoked rather than the typical Texas-style Mesquite. 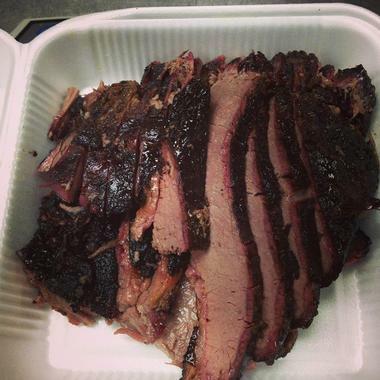 Rudy's specializes in brisket, but they also serve turkey, pulled pork, beef, sausages, ribs, and breakfast tacos. They have several side options such as baked potatoes, coleslaw, creamed corn, pickled carrots, and loaves of bread. They have 34 restaurants throughout Texas and other nearby states. Spring Creek Barbeque is a chain of Texas restaurants that opened in 1980 with a lone BBQ joint. The restaurant has grown quite the local following in the past 35 years and now includes more than 44 restaurants in the franchise. They specialize in traditional barbecue including ribs, brisket, sausage, chicken, pulled pork, turkey, and ham. The meats are hickory-smoked each day at each individual restaurant location. The restaurant features its own signature barbecue sauce made in house from a secret recipe. Side options include French fries, fried okra, salads with house-made dressings, massively loaded baked potatoes, and fresh baked bread. Spring Creek has several locations in the Houston area and throughout the state. 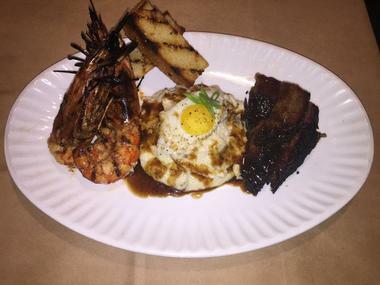 Stockyard Bar BQ is a restaurant, brew house, and bar located near Houston's Galleria area. The menu includes delicious smoked barbecue ribs, sausage, chicken, and brisket. You can accompany your choice of meat with any of a list of traditional sides such as green beans, potato salad, and more. They also have a few specialties such as their mouthwatering BBQ nachos as well as spuds and yard poppers. Several fresh-made desserts such as fruit cobbler and banana pudding are the perfect way to round out your meal. The venue has two stories with a large number of tables and a spacious patio. They also have a party room that can be used for banquets, rehearsal dinners, and office meetings. The Brisket House is a somewhat of a newcomer on the Houston barbecue scene. However, the unassuming BBQ joint in a strip mall has quickly assumed a prominent place. The joint quickly serves eight-ounce plates of hot meats at an affordable price. They smoke their meats for more than 16 hours over a special oak wood. One of the most popular menu items is the PB&J sandwich - a tasty combination of pulled pork, brisket and jalapeño sausage piled high on a hearty sandwich. For another hearty choice, try the one-pound special. 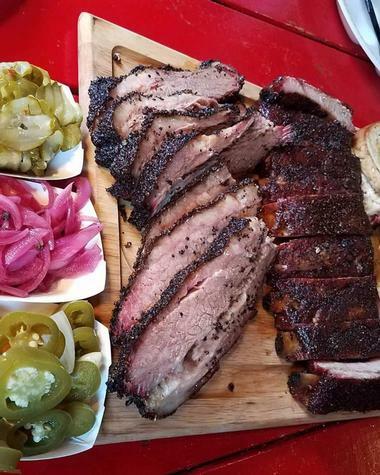 It is a full pound of up to four meats of your choosing such as pork ribs, sausage, pecan-smoked brisket, and more, served on a sheet of butcher paper with a hunk of aged cheddar, a whole pickle, half an onion, and bread. Triple Js Smokehouse BBQ is a popular casual joint for smoked meats, burgers, and ribs. The restaurant uses only oak to smoke their meats in a number of smokers and rotisseries. The restaurant has a small dining room with a few tables and bar seating. They have especially delicious smoked sausages, including a peppery link from the local Yoakum Packing as well as a smoked boudoin that will have you coming back again and again. 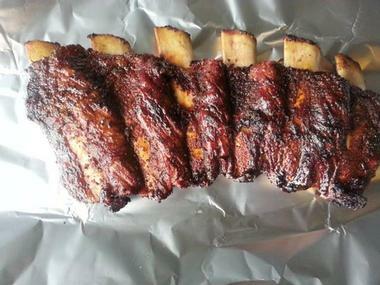 The ribs are also noteworthy and cooked perfectly tender. Everything at the restaurant comes in massive servings, including the meats, sides, and gooey homemade peach cobbler. 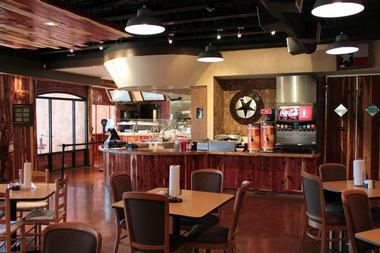 Valley Ranch Grill & Barbecue, a family-oriented barbecue restaurant, is the perfect place to take the kids. The casual venue is decorated in typical Texas kitsch with booths, an electric train, and other country-themed decor covering the walls. The restaurant has a kids' play area to help keep young ones busy and entertained during your meal. In a style that is typical of casual BBQ joints, guests order and pay for their meal at a counter and add fixings from a bar in the dining area. 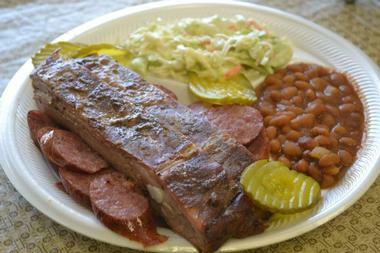 Locals rave about the ribs, sausage, and side items as well as the homemade banana pudding. Brooks' Place, LLC., Cypress, Photo: Brooks' Place, LLC.